I have new front teeth. Or rather, I have a new dentist who looked at the fixes and patches his colleagues left and said they’ve got to go. Time for crowns. Welcome to middle age. After several hours of unpleasant short-range interactions with various drills, he puts on the crowns and hands me a mirror. “Have a look,” he says. “They’re tilted,” I say. He frowns, then asks me to turn my head this way and that way. “Open your mouth,” he says, “Close. Open.” He grabs my temples with a pair of tongs and holds a ruler to my nose. Then he calls the guy from the lab. Now three guys are staring at my teeth. “They’re not tilted,” one of them repeats. “Well,” I try a different take “They don’t have the same angle as they used to.” “Then they were tilted before,” one of them concludes. I contemplate the possibility that my teeth were misaligned all my life but no one ever told me. It seems very possible. Then again, if no one told me so far chances are no one ever will. “They’re tilted,” I insist. The dentist still frowns. He calls for a colleague who appears promptly but clearly dismayed that her work routine was interrupted. I imagine a patient left behind, tubes and instruments hanging out of the mouth. “Smile,” she orders. I do. “Yes, tilted,” she speaks, turns around and leaves. For a moment there, I felt like the participants in Asch’s famous 1951 experiment. Asch assigned volunteers to join a group of seven. The group was tasked with evaluations of simple images which they were told were vision tests. The volunteers did not know that the other members of the group had been given instructions to every once in a while all judge a longer of two lines as the shorter one, though the answer was clearly wrong. 75 percent of the trial participants went with the wrong majority opinion at least once. In reality, I’d probably conclude I’m crazy and then go write a book about it. Because that’s pretty much what happened. For more than a decade I’ve tried to find out why so many high energy physicists believe that “natural” theories are more likely to be correct. “Naturalness,” here, is mathematical property of theories which physicists use to predict new particles or other observable consequences. Particle physicists’ widespread conviction that natural theories were preferable was the reason so many of them thought the Large Hadron Collider would see something new besides the Higgs boson: Supersymmetry, dark matter, extra dimensions, black holes, gravitons, or other exotic things. Whenever I confessed to one of my colleagues I am skeptical that naturalness is a reliable guide, I was met with a combination of amusement and consternation. Most were nice. They explained things to me that I already knew. They didn’t answer my questions but insisted they did. Some gave up and walked away. Others got annoyed. Every once in a while someone told me I’m just stupid. All of them ignored me. After each conversation I went and looked again at the papers and lecture notes and textbooks, but each time I arrived at the same conclusion, that naturalness is an argument from beauty, based on experience but with scant empirical evidence. For all I could tell, that a theory be natural was a wish not a prediction. I failed to see a reason for the LHC to honor this wish. And it didn’t. The predictions for the LHC that were based on naturalness arguments did not come true. At least not so far, and we are nearing the end of new data. Gian-Francesco Giudice, head of the CERN theory division, recently rang in the post-naturalness era. Confusion reigns among particle physicists. But this time it’s different. One day into the conference I notice that all I was about to say has already been said. The meeting, it seems, collected the world’s naturalness skeptics, a group of likeminded people I didn’t know exists. And they are getting more numerous by the day. Most here agree that naturalness is not a reliable guide but a treacherous one, one that looks like it works until suddenly it doesn’t. And though we don’t agree on the reason why this guide failed just now and what to do about it, I’m not the crazy one any more. Several say they are looking forward to reading my book. The crowns went back to the lab. Attempts at fixing them failed, and the lab remade them entirely. They’re straight now, and I am no longer afraid that smiling will reveal the holes between my teeth. I’d wager you would not only disagree and argue with the majority, who claimed a shorter line was longer, you would also try to find a measuring device and prove it to them, that is what I like about you. The naturalness issue is just further evidence the good people in science are corrupted (not corrupt) by human emotion, something I think the vast majority don’t acknowledge particularly for themselves. I’d caution everyone to always look to one’s self first and continuously, as that is the most prevalent problem and hardest to acknowledge or fix. It’s inordinately easier to spot in others, particularly people you disagree with. Sabine Hossenfelder, "Naturalness - How Religion Turned into Math": "Naturalness arguments have been extremely influential in the foundations of physics during the last decades. I explain why they are based on faulty reasoning." I'm a layman so have little expectation of making a profound argument. Please take this question in the vain of "trying to get my head around the problem". Don't the two dozen or so dimensionless constants imply some sort of probability distribution? Or at least indicate against some hypothetical distributions? I guess what I'm getting at is that almost any value you give me, say 10^-122, is "more natural" than some other real number, say 10^-122000000. Really, any list of real numbers is improbably "natural" if all real numbers are equally likely. Well, maybe all I've done here is redefine natural in a way that is both always true and utterly unpredictive. Nevertheless, I'm still somewhat resistant in accepting that we have no information whatsoever about the probability distribution that these numbers come from. Multi-decade, multi-$billion umsatzsteuervoranmeldung is perfectly sterile in all sectors. BrightSpec microwave molecular rotational resonance spectrometer, one working hour, milligrams of analyte. Observe physical theoies' naked common mode failure. Single line 40,000:1 signal/noise, plus three small lines from nitrogen-14 hyperfine coupling. All of it is calculable. DOI:10.1515/zna-1986-1107 as model. Calculated extreme geometric divergent enantiomer pair in 3:1 chiral ratio enters, ~4 kelvin and 0.2 mTorr; molecular weight = 171.238. Success is enantiomers’ rotational spectra not being exactly identical and/or not exactly superposed, or with 3:1 internally broadened lines. Enantiomers are then opposite shoes differentially embedded in chiral anisotropic vacuum background (a trace left foot). Given shodden-freude, rewrite theory accordingly. A very well written, amusing, and instructive story, of dentists and lab techs trying to persuade you, by an herd effect, that crooked teeth were not crooked. It takes always a strong mind, to resist the herd! What is natural, is what occurs, and occurred, in nature. Those who claim to know, in advance, what is natural, may feel and think that they, personally, have created the universe. There is a name for it: God, the one who created all, but was not created by any. Otherwise, if they don’t sincerely confuse themselves and God, the next excuse for those who claim to know the universe, it is an old friend of theirs, would be that they are just scam artists (it sells books!) If neither God nor crook, the worst possibility remains standing: they are intellectuals fascists, and can only think bundled as a herd around a few ideas, they learned by rote, ready to administer their sense of truth and justice, like Roman fasces bundled around an axe. The more fascist the politics out there, the more fascist the metaphysics serving it, and then it is natural to claim that nature itself is ordered by just a few, well-known ideas. This is how the epicycle theory arose, in conjunction with the fascist Hellenistic regimes, and the fascist Roman "Principate". Even though, just seeing that the phases of the Moon didn’t change during the day, the geocentric theory of the Sun’s orbit was clearly wrong: if the Sun orbited around the Earth Moon system, once a day, the Moon phases would have continually changed during said day. Funny story. Tenacious scientist. So glad I found your blog. I hope logic still shows the way. I know a Dutch philosopher who is convinced that the universe is absurd and hence impossible for people to comprehend. His main argument is his claim that logic reasoning is not universal. I cannot believe it. I even think it is impossible because I don't believe that the world as we know it would be possibe in an absurd universe, but can it be excluded? The philosopher is Jan-A. Riemersma (PhD) and he teaches philosophy at Cals College Nieuwegein. He obtained his PhD at the University of Utrecht. It's weird, because in the circle of people whom I talk with about physics, it's pretty common knowledge that naturalness is an esthetic criterion without any strong argument to support it. I guess I just talk to smart people. Like you. Maybe the reasoning is that classical physics is "natural", overlooking the fact that they assigned naturalness to it post hoc? Once a prejudice is well established, it is hard to dislodge. As humans, we are not describing how the Universe really works, we are describing how humans deploy predictions related to post-processing anthropomorphic experiences. Dental technology is pretty amazing. Back in 1983 I fell off my bike and broke two front teeth. For a number of weeks I was too embarrassed to smile. Finally my appointment came, and the dentist rebuilt the broken portions of the two frontal teeth with some kind of epoxy compound, if I remember. He said it would last 3 to 5 years. Now it's been 35 years, and the material is still holding up strong. To start, I will say that I have never had a cavity in my life. I broke a molar some years back, and it is now gone. Along those lines I have never had surgery either, except for a broken leg. We might turn this around. What does it mean to be unnatural? If you talk to somebody who knows no physics you will find they have great difficulty with the idea that no matter where you are or how fast you are going relative to some point the speed of light is the same. The speed of light is never changing, but what does change is one's relative meaning of lengths and time. You might even get the reaction of, “that makes no sense.” In other words it is entirely unnatural. Yet we in the physically enlightened class know otherwise. And yet because of our enlightenment we are probably blinded to something because it would at first look appear unnatural. 1. Many theories throughout history were not “born” as beautiful as they appear today. What a person sees at almost any time is the refinement of theories into beautiful forms/representations. The original diamond in the rough theory was not as beautiful to most as the faceted final. Not only that, many theories have been refined differently by scientists with different aesthetic sensibilities. So there is almost certainly a representation that each particular individual will find beautiful. So using beauty/naturalness as a guide based on our impressions of refined forms is probably an illusion. 2. Even if beauty/naturalness did provide some signal a long time ago, that signal may be exhausted by now. If beauty/naturalness has been the guide for centuries, maybe those have been mined out by all the preceding scientists. My personal feeling is that whatever comes next will fall into 1 above. Starts raw, gets refined, we eventually see it’s beauty. Pretty cool! I like your analysis. commentary and critique. As for myself, I go from California to Mexico for my dental work. I tell dentists there what I want, and if I don't like what I see I tell them how I want it cosmetically, or otherwise changed. The same thing for doctors, I listen to what they say and if I think otherwise I tell them what I want, and if they won't do it or prescribe it I go to another doctor. Of course I do the homework necessary regarding the condition since my life sometimes is in my own hands for this reason. Nature has done a lot of cool things but IMHO whatever nature has done man can improve upon given enough time and effort. "Naturalness" has its place in biological sciences, but should be a joke for physicists to do anything but only laugh at IMO. are GUT and TOE also guided by beauty considerations? i see no necessary reason for a strong unification with electroweak. or unification with gravity. beautiful sure, but maybe nature doesn't work that way. I was referring here to technical naturalness in particular. The more general notion of "naturalness" that is used a lot in cosmology most people recognize as a criterion of beauty, though it sometimes gets conflated with simplicity (which, I would argue, is not a criterion of beauty). So I am curious now whether you were referring to technical naturalness or naturalness in general? Partly, but not entirely. We know that the standard model is amiss in some regards, both because it doesn't include gravity and because it has a Landau pole. If you mean with "GUT" the specific idea that the symmetry groups must originate from one large group whose symmetry has been broken, then the answer is that no, I can't see any reason why this is necessary. It is a logical continuation of the history of physics for sure, but it is mostly an argument from beauty. If you merely mean a consistent completion of the standard model with gravity, then I would argue that's a requirement from consistency, not from beauty. well, wow. That's daring. I will look and see if I can make any sense of his writing. Thanks for mentioning! I was actually wondering if the people in the experiment were explicitly forbidden from doing this. Because isn't this what everyone would do, hold their fingers next to the line and "measure" them in a crude way? In any case, I am not sure what emotion you might be referring to. But I think it plays a big role that groups provide safety, both psychologically as well as materially. By which I mean if you know there is a large group of people who agree with you, you are confident that what you say is correct. It's also better to stick to the group because they'll have to approve of your papers and grant proposals and so on. Let me emphasize that this does not mean that if a large group of people agrees on something they must be wrong! Just that they are more likely to overestimate the correctness of what they say than a comparably smaller group. I think this is a general problem in scientific communities. I want to see a symmetry behind broken symmetry of matter and antimatter, also with Higgs mechanism (positive and negative scalar field value phases) and symmetrical entanglement phases of spacetime structure - is it naturalness? I want to see that complicated interactions between normal matter (gravitational changes in mass distribution) could explain dark matter - is it naturalnessless? I have a few longstanding questions of naturalness. I would be very grateful Bee if you could answer them. (1) Given that the SM is proven to be renormalisable, why worry about fine-tuning. Aren't the two contributions (SM and new physics at short wavelengths) guaranteed to cancel and the degree of fine-tuning is therefore irrelevant ? (2) The fine-tuning for, eg, the Higgs mass is between two quantities which are not observables. I can see why it is stated that the quantities correspond to short- and long-distance physics. However, as they can't be measured I find it hard to buy the short/long-distance coupling argument as being an important one. They are simply internal terms in an equation which cancel to give the Higgs mass, which can be observed. I never realized what naturalness was! thanks that was what i was thinking. "re If you merely mean a consistent completion of the standard model with gravity, then I would argue that's a requirement from consistency, not from beauty." if Nature has decreed gravity has a completely different origin than the standard model, why should standard model include gravity? to give some specific examples, the standard model involves fermions and bosons. if gravity is emergent, and the result of entropy, or result of other speculative proposals*, and in no way involves fermions and bosons, why should standard model include gravity? "We introduce a modification of the Ghirardi-Rimini-Weber (GRW) model in which the flashes (or collapse space-time events) source a classical gravitational field. The resulting semi-classical theory of Newtonian gravity preserves the statistical interpretation of quantum states of matter in contrast with mean field approaches..."
“As an older friend, I must advise against it, In the first place, you won’t succeed, and even if you do, no one will believe you.” Advice he gave to Einstein when told of his intention to work on the problem of gravity. I would add, all emotions influence our behavior in unconscious ways we often don’t (or won’t) recognize. A few of the stronger ones that can obfuscate rational thought or behavior are preeminence, ambition, greed, envy, the desire to be admired and held in high esteem, or not be ostracized, even feelings like inferiority and shyness play a role. The main point being no matter how rational we think we are, our feelings play a much larger role in directing our thoughts and behavior than we are aware. I bring this up for a concern we both share, it slows scientific progress. Maybe times are finally changing. Maybe we will actually live to see the post-naturalness era of physics. Nice write-up too in the cover story of the latest issue of New Scientist: Welcome to the Uglyverse. Perhaps this is a sign that the heterodox view is starting to get a little more traction. "if gravity is emergent, and the result of entropy, or result of other speculative proposals*, and in no way involves fermions and bosons, why should standard model include gravity?" Because fermions and bosons gravitate. If they didn't, we'd all be dead. "Because fermions and bosons gravitate." Bosons implicate gravitational change and the relative momentum in stress-energy-momentum-tensor, right? So there is difference between them: fermions preserve structure for localized curvature and bosons preserve information of changes in curvatures (just like/as gravitational radiation). Still, you can consider a photon as semifermion at emission and at absorption - between them as a boson wavepacket. Your comment makes no sense. Please omit submitting further speculations, I will not approve them. @Sabine Hossenfelder "fermions and bosons gravitate" “Non-identically” is a measurable option. The two molecules are non-superposable mirror images. No observation can tell them apart in isolation. Identical melting, boiling, triple point temps, critical pressures, temps, densities; UV-Vis, IR, Raman, microwave rotational, NMR, mass spec outputs; electron diffraction structures; dipole moments, dielectric constants, refractive indices, adiabatic compressibilities, viscosities, surface tensions, heat capacities, enthalpies of combustion...mixed, they are inseparable. R-Carvone is spearmint, S-carvone is caraway seed. Your nose is chiral. Separate them down a cellulose chromatography column. Opposite shoes embed a left foot non-identically. Mirror-symmetric vacuum is physics’ beauty. Beauty has acne. Vacuum sniffs opposite shoes differently, visible in commercial equipment. Look. So what approach to QG do you think is most promising and why? I think the most promising approach to quantum gravity is to look for experimental evidence and then use data to guide the development of the theory. what are the most promising and doable, technically and economically feasible experimental approaches to determine QG? any on the drawing board or any you or other propose? have you heard of this QG experiment - A Spin Entanglement Witness for Quantum Gravity Bose et al? I wrote about this here and on various instances on this blog, but the Nautilus piece is the most recent one. Yes, I have heard of this proposal, probably before you did. Only circular orbits for planets are natural. I bet we can explain the apparently elliptical nature of planetary orbits by resolving them into a large number of circles. That would be natural and beautiful. Right. I do hope they are likeminded people. As opposed to, say, being the same people that were critical of you in your discussions, now simply being flamboyant about accepting the change and producing new stuff without pausing for a moment to think about the implications of this all, and precisely the same people who in a couple of years will declare that they've been right in rejecting naturalness all along and be busy distributing grants and permanent positions among themselves. thanks. what conclusions would you draw on QG given that " A Spin Entanglement Witness for Quantum Gravity Bose" is a test that may be performed in the near term future? I conclude we'll wait for the results of the test. there are plenty of experiments and observation for GR and plenty of experiments for QM. is there any theory of QG that reproduces GR in 4D (unless there is experimental or observational evidence of more than 4D) in DeSitter space and is fully consistent with QM and mathematically self-consistent? once such a theory is proposed, presumably it will deviate from GR in the QG regime due to quantum corrections, and there experiments can distinguish one self-consistent QG from another? Good for you insisting on getting your teeth right. Not all dentists have a proper esthetic sense. Most of them can get your teeth good enough for eating, but making them look "right" requires a lot more skill. In the US, those dentists tend to charge a lot more. Check out some of the smiles on tonight's Oscars and you'll see what $50K of dentistry looks like. That's $50K per mouth. 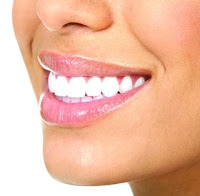 Since faces aren't symmetric in detail, "straight" teeth may not be perpendicular to one's jaw. Unlike physics, cosmetic dentistry is an art. Now I'm wondering if the LHC is this generation's Michelson-Morley experiment. The Higg's was where it was supposed to be, but where was all the other stuff? If we're lucky, this failure will lead to new insights. It took a while for the ether to die. Science was publishing articles purporting to have measured absolute space in the 1920s. The new science will probably start out ugly. Then there will new mathematics. Physics PhD students in 2060 will consider the new theory completely natural. All the interesting constants will be normalized to one, except for kappa which will be one over pi for reasons considered intuitively obvious. Perturbative QG is consistent in its regime of applicability and it might become testable soon. As to UV-completions, depends on whom you ask. Of course string theorists think string theory is consistent and LQGlers think LQG is consistent and everyone thinks their thing is the best thing. Having said that, your comments are off-topic and I neither have the time nor the interest to continue this exchange. Interesting post, but as a layman I don´t understand what exactly is meant by Naturalness. So it is not the same as simplicity? And how firm would you say the 'dentists' have been believing in Naturelness? Was there a tendency to believe that a good theory must be natural, or merely a notion that a Natural hypothesis is the first one you test if you have to choose between several hypotheses that could be tested? For a brief explanation on what naturalness is, see this blogpost. For a somewhat longer explanation see this paper. For the best of all possible explanations, preorder my book. When I started to study theoretical physics almost 40y ago, my goal was to understand reality. And more over, in some simple, natural way. I couldn't and that made me feel stupid. When I finally and painfully graduated, I turned away from physics to man made universes, which I could understand. Computers that was. I could understand them and they did not make me feel stupid, not that often anyways. Well,I did have other reasons to change course, but that was the main one. Physics made me feel stupid because it was not always beautiful and could not explain everything. Well, maybe I just was stupid. Physics has helped me a lot and I have applied it to engineering. But engineering is a mess, it's tinkering with trial and error. Like real life. I still would like physics to explain everything to me naturally, but maybe it just is not possible. Maybe there is no such thing. I liked your coment, Tyy. So to a large extent, what is natural is what we are used to. Louis Tagliaferro, scientists are aware of the existence of irrational relationships, but they do not know how to deal with irrational tasks. Scientists use the following principle to preserve science's monopoly on truth: Irrational relationships exist, but they ... are not reasonable, irrational relations are contradictory, irrational relationships do not make sense for this reason. Truth is not a goal for scientists. I investigate this part of the problem now. This part is very interesting.